In the game as in life, goons go down quicker with a set of illegal brass knuckles. It's an offer they should refuse. 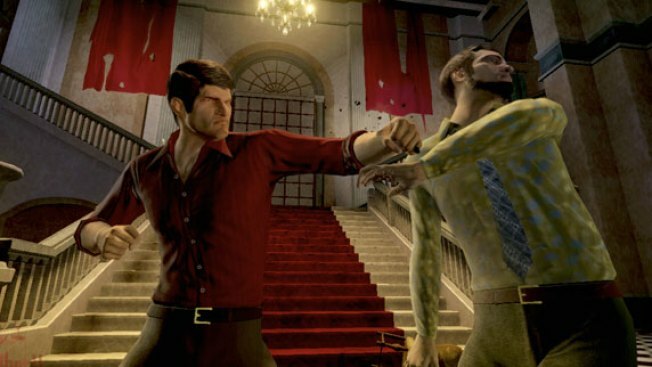 Video game reviewers got a socked with the surprise when Electronic Arts said they wanted contraband brass knuckles from a promotional box of goodies for the Godfather II game back. That's because possession of brass knuckles are illegal in many states, including California. But shipping the weapons back would also be illegal. So, while the game producer contacted members of the press to ask for the brass knuckles back to be "disposed of," mailing them to the Redwood Shores Calif.-based company may be itself a crime. Brian Crecente, managing editor of video game news site Kotaku, is one reviewer who received the shiny, jaw-busting pugilist accessory. He hasn't received any package to return the item in, nor much in the way of explanation. "We’re still waiting to hear back from EA on whether it would be legal to do so," he wrote in an email. The illegality of the promotion is certainly relevant to a game that celebrates mob violence. No word from EA yet on how exactly anyone with the contraband should proceed, via email or via a Vito Corleone-style horse's head. Jackson West figures a baseball bat, tire iron or silk garrote would have been the way to go.